What Are the Origins of Egyptology? Today, Egyptology – the study of ancient Egyptian history, culture, and language – is a worldwide discipline studied and taught at major universities on nearly every continent. It has evolved from a more esoteric study known only to elites in a handful of schools and museums in Europe to something much more global that is accessible to a wider range of people, which has come to influence many aspects of modern society. The very definition of Egyptology and what makes one an Egyptologist has also changed over the last 200 years because it involves a variety of sub-disciplines that include but are not limited to some of the following: archaeology, art history, history/chronology, and philology. Essentially, Egyptology is a modern study that can trace its roots to the Enlightenment of the eighteenth century. It was during the Enlightenment when people began to question the governments they lived under and the religions they followed, when the idea of studying older, venerable cultures became popular. Enlightenment scholars began to see the perfect forms of government in ancient Athens and Rome and as they looked further, they began to see that the even older cultures of Mesopotamia and Egypt also had a lot to offer. It was in the milieu of the Enlightenment and during the Napoleonic Wars that followed during the early nineteenth century where most scholars pinpoint the origins of Egyptology. The seminal event within this period was the discovery and subsequent decipherment of the Rosetta Stone, which allowed modern scholars to read the enigmatic hieroglyphic script of the ancient Egyptian language, thereby making the plethora of Egyptian texts readable. Once the texts became readable, ancient Egyptian chronology became clearer and the nuances of pharaonic civilization became accessible to the modern world. As much as the discovery and decipherment of the Rosetta Stone represented a watershed moment in the history of Egyptology, the march toward understanding the pharaohs began hundreds of years earlier and then continued long after scholars translated the text on the legendary stone. Although the ancient Egyptians wrote about their own history, the first true critical analysis of ancient Egyptian history was conducted by the early Greek and Roman historians and geographers. The fifth century Greek historian, Herodotus, is perhaps best known for the in-depth treatment he gave to pharaonic history in Book II of The Histories, which influenced others, such as Diodorus and Strabo, to follow with their own observations of the Nile Valley. The accuracy of the classical accounts of ancient Egyptian history could vary widely. The further back in time the accounts went, the more likely that the chronologies were garbled and facts were simply wrong. The reason for these problems is directly related to the fact that even the most educated Greeks and Romans never took the time to learn the ancient Egyptian language so they were often forced to rely on the Egyptian priests for translations and explanations of texts. The priests were only human, which meant that some parts of Egyptian history were sacrificed for others they believed more important. The classical historians were able to more critically examine events closer to their own period, though, because many of those events were already written about in Greek. The Hebrews had a long-lasting love-hate relationship with ancient Egypt that was chronicled in many books of the Old Testament including both Chronicles, both Kings, and most notably Exodus. The Egyptians are the enemies of the Hebrews throughout most of the book of Exodus, but later developed friendly relations with the kingdoms of Israel and Judah and even came to the latter’s aid against the Assyrians in 701 BC at the Battle of Eltekah as was described in 2 Kings 19:9-10. But the Hebrews’ interest in ancient Egypt was only due to how it affected their kingdom and religion. It does not even approach the flawed, yet critical, nature of the classical historians’ treatment of Egypt. While medieval Europeans viewed ancient Egyptian civilization through the lens of the Bible, but with some emphasis on the culture’s more arcane aspects, the people who lived in the pyramids shadows also offered their explanations for the once seemingly great but lost civilization. The Muslim Arabs who conquered Egypt in AD 642 saw ancient Egyptian monuments and particularly the Pyramids of Giza, as simultaneously being “monuments of ignorance” and therefore an affront to Islam, but also as sources of wisdom and power, During the Middle Ages in the Middle East, a number of fictional tales were written in Arabic and Persian where the Pyramids of Giza played a central role. In one legend, an Egyptian king named Surid was said to have built the pyramids as both a tomb – which was the purpose of pyramids – and as a repository of ancient wisdom. In another Islamic legend, the pyramids were said to be tombs of ancient Yemeni kings. Many medieval Islamic sources also give credence to the legendary figure, Hermes Trismegistus, and how he ordered the construction of the pyramids to preserve ancient esoteric knowledge from floods. Although medieval Muslims were correctly able to deduce that pyramids were tombs, their lack of understanding of the ancient Egyptian language kept them from understanding the depth of pharaonic civilization. The first legitimate attempts to understand ancient Egyptian civilization objectively came during the period known as the Enlightenment. 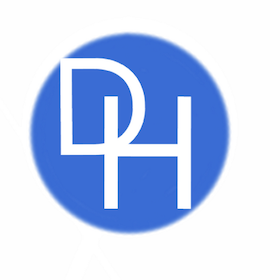 Many are familiar with the political aspects of the Enlightenment put forth by seventeenth century writer John Locke or eighteenth century writers Voltaire, and Jean-Jacques Rousseau, but just as important are the cultural changes during the period. Enlightenment philosophers, historians, and philologists all began to study pre-Hellenic ancient civilizations without the veneer of the Bible. Although they viewed ancient Egypt and the other ancient Near Eastern civilizations as exotic and “other,” these early modern scholars all had a will to understand ancient peoples objectively. It was from within this intellectual milieu that the modern study known as Egyptology made its first true steps. If one were to identify Egyptology’s first true patron, it would be none other than the conqueror Napoleon Bonaparte. Napoleon is best known for his rise and fall as a military commander and dictator over much of Europe, which in many ways demonstrates that the French-Corsican commander eschewed many of the Enlightenment’s ideas about democracy and representational government. Although it is true that Napoleon only used the political ideas of the Enlightenment when they were to his advantage, he was a firm believer in the cultural aspects of the Enlightenment as discussed above. Napoleon’s conquest brought the French to Egypt, which they occupied from 1798-1801. Even before he invaded Egypt, Napoleon was awed by Egypt’s legacy so he brought 167 scholars, known as savants, from the Commission of the Sciences and Arts with him during the initial invasion. The savants studied all aspects of Egypt, from the flora and fauna to its history, and compiled all of their findings in a multi-volume work known as Descripton de l’Égypte. The volumes of interest to the proto-Egyptologists of the time were labeled Anitquités, which contained numerous drawings of the monuments with accompanying French text. Despite the strides that Napoleon’s scholars were quickly making, understanding the ancient Egyptian language was still a stumbling block that needed to be overcome. The break that the world needed came in mid-July 1799 in the small village of Rosetta located on the Mediterranean Sea. According to accounts from the period, the key to understanding the ancient Egyptian language – the Rosetta Stone – was discovered by French soldiers who were clearing away a wall for a fort. The Rosetta Stone, which was ensconced in the wall, was immediately recognized as something important so it was spirited away for savants to study. The French knew that the stone – what is known as a “stela” by Egyptologists as it commemorated an important historical event – was important because it contained fifty-four lines of Greek text, which they could read, along with fourteen lines of unreadable hieroglyphic text, and thirty-two lines of the equally unreadable demotic Egyptian script. 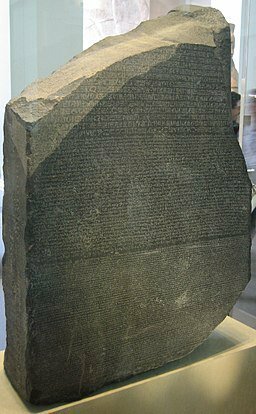 But before the French could dedicate any serious research to the Rosetta Stone, Egypt was captured by the British in 1801. Along with victory went the spoils of war and under Article XVI of “The Capitulation of Alexandria,” the French were forced to relinquish the Rosetta Stone and various other Egyptian antiquities. The British then promptly moved the Rosetta Stone to the British Museum in London where it still sits today. Although the British had physical possession of the Rosetta Stone, it did not stop French scholars from studying the enigmatic inscriptions because many copies were made to folios. In many ways, the race to decipher the Rosetta Stone became a microcosm of the wars that were being fought by the British and French for control of Europe – the victor would assume a special place in history and would also capture a certain amount of pride for his country. The first translations of the Greek lines were done by Reverend Stephen Weston in London in 1802. Attempts were then made to decipher the demotic, but when it was learned that it was just a cursive form of the hieroglyphic script, the focus then turned to the undamaged hieroglyphic lines. Despite making great initial progress on the Rosetta Stone, the vital hieroglyphic lines sat untranslated for several years until two men – one English and the other French – engaged each other in one of the greatest academic competitions in history. 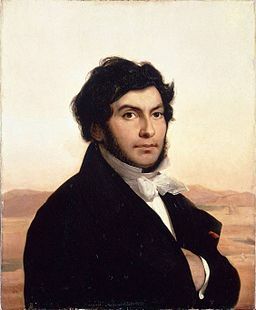 With Champollion’s decipherment of the Rosetta Stone, both scholars and rogues began to flood Egypt in order to become rich and/or famous by rediscovering ancient treasures. Both Britain and France dispatched large numbers of agents to acquire the best pieces for their burgeoning museums in what became a war over ancient Egyptian culture that continues on today to some degree. 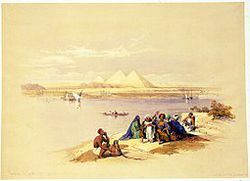 By the middle of the nineteenth century, German scholars led by Karl Richard Lepsius conducted archaeological expeditions into the Nile Valley and by the end of the century the Americans got into the act. 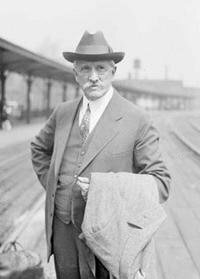 George Reisner is responsible for some of the first American Egyptological expeditions, but many see James Henry Breasted as the father of American Egyptology. Although the axis of modern Egyptology is still centered on the United Kingdom, France, Germany, and the United States, there are programs in countries such as Argentina and Japan. The process by which Egyptology became a modern discipline is a long one, but one can point to the discovery and decipherment of the Rosetta Stone as being the true starting point. Without understanding the ancient Egyptian language, much of what is known today about Egyptian history and culture would still be covered by shrouds of mystery.